That’s how the warm, friendly people of tranquil Bonaire welcome you to a heavenly island so unspoiled that the pink flamingos outnumber the residents. It’s only one reason why over 55% of travelers to Bonaire are repeat visitors! 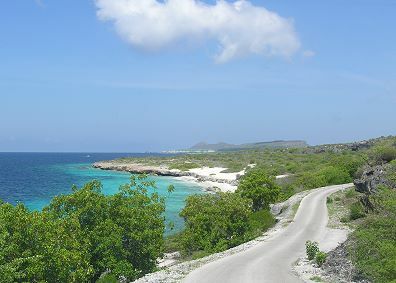 Bonaire is acclaimed worldwide as a spectacular dive site, thanks to being surrounded by a series of offshore reefs. (And it will retain that honor in the future, as the people and government of Bonaire have made the preservation of its marine environment a top priority.) There are beautiful undersea landscapes, ultra-clear waters, over 120 types of coral, numerous professional and experienced diving operators, and more than 120 “walk in” or boat dive sites around the island. The diving here can be a transcendent adventure, but it’s only part of the Bonaire experience. Inland, a hike up Mt. Brandaris in Washington-Slagbaai National Park brings the reward of extraordinary views to the Caribbean’s curving horizon. You can also take a guided kayak or solar boat excursion through one of the few pristine mangrove systems remaining in the world. Bonaire’s year-round sunshine makes any of your nature or sports activities a real pleasure! While it’s small, serene, and low-key, Bonaire does indeed offer dining, nightlife, and an arts scene. Dance the night away to live music in any number of nightclubs, mostly in the capital city of Kralendijk, on the ocean promenade, and, of course, in the beachfront resorts. And there are plenty of fine dining opportunities in and around Kralendijk, many showcasing Italian, Indonesian, Dutch, and local fare. When you first come to Bonaire, you are a visitor, but when you leave, you leave as a friend. This entry was posted in Caribbean, Hotels and Resorts, Weddings/Honeymoons and tagged 120 types of coral, Bonaire, Divi Flamingo Beach Resort & Spa, Harbour Village Beach Club, Kralendijk, Mt. Brandaris, Pink Flamingos, Washington-Slagbaai National Park. And of course not to forget the Bonairian music.